You can download a full list of the retiring items in a PDF here. Let me know if you have any questions. Happy Shopping! Yay!!! 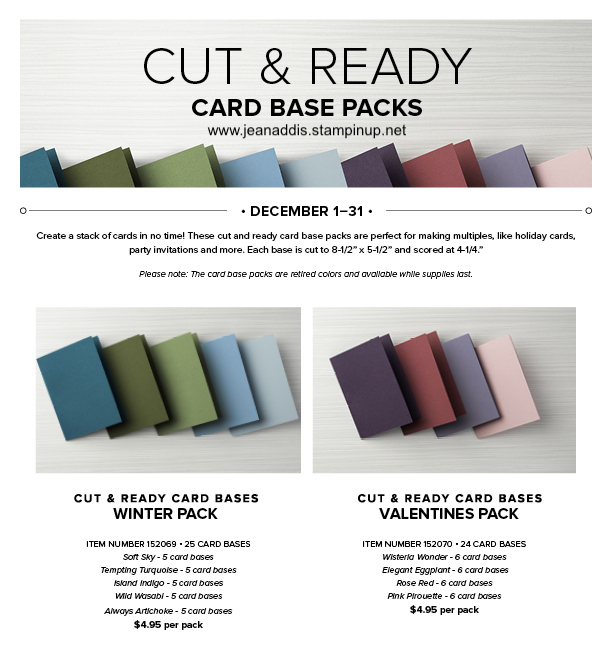 Save time making your cards this year with Cut & Ready Card Bases!!! Stampin’ Up! has asked a small group of Demonstrators to offer these retired card bases to their customers for a limited time and in limited quantities to see how they sell…And if they sell well, they’ll likely be adding them to the catalog offering in the future!